Silver needle, also known as Bai Hao Yin Zhen (白龙须贡茶), is the most famous white tea in the world. It is minimally processed where only the whole silver, needle-shaped buds of the tea leaves are picked and dried naturally. 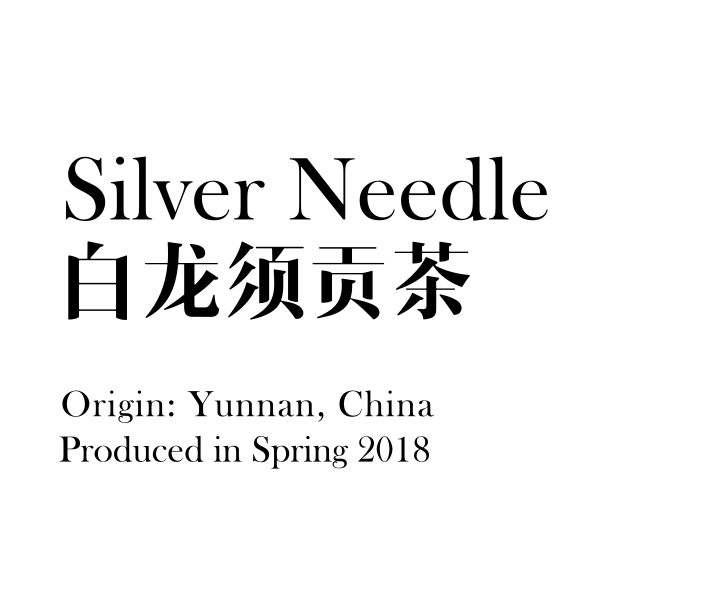 Harvested in Yunnan Province, China, during Spring 2018.